Do you know port inspectors? In the past, port inspectors were responsible for inspecting the incoming products to check for damage, and they verified the quality and state of the goods, weighed these and took samples. They were specialists for certain high-grade products and had a special responsibility toward their clients, as they took samples of the products and stored these on trust. In Hamburg, this elite group of sea freight handling persons were referred to as quarter masters, as they always appeared as a group of four persons. Today, this description is all but extinct – yet the functions and tasks have remained. Today, the professions are included in that of maritime merchandise controller and a specialist for port/warehouse logistics. In 1932, Berthold Vollers took the decision to become self-employed as a port inspector and warehouse clerk in the Hanseatic city of Bremen. Based on his activity as a shipping clerk, he had gained comprehensive knowledge on coffee and expertise regarding port, customs and product processing. The first warehouse was located in Packhaus Am Deich 57/58. Berthold Vollers immediately acquired his former employer Roselius & Co (Coffee-HAG) as his first customer and was allowed to serve it. 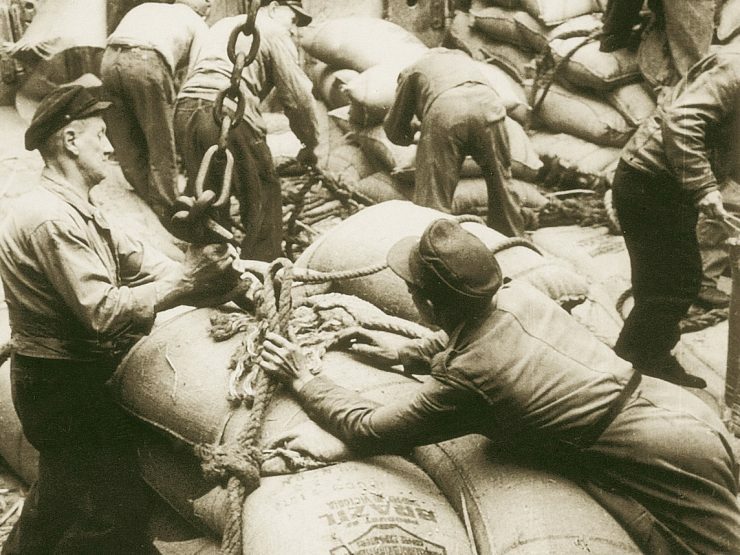 During the Second World War, almost all coffee imports were discontinued, and the roasters had almost nothing to roast. Berthold Vollers served in the marine during the War, and when he returned, his workplace had fallen victim to the War. He had nothing left. 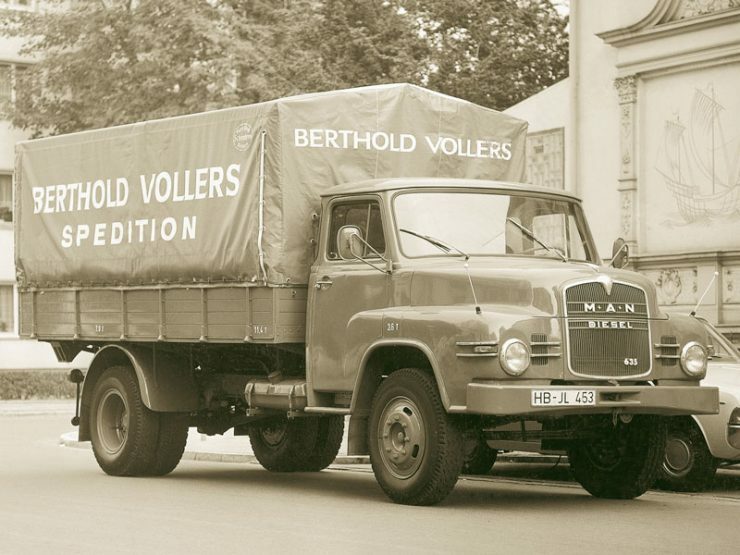 When, at the end of the 40s, coffee was imported again, Berthold Vollers revived his company once again and, with a surface of 325 m², he once again rented premises in the new Speicher I.
Berthold Vollers appointed the first commercial employee in 1952. Now, apart from coffee, his port inspection office also started storing canned food. Lüder Vollers joined his father’s company in 1962, which at this time already had five employees. The purchase of the first own truck in 1965 started the formation of an own vehicle fleet. With the takeover of the neighbouring company Friedrich A. Jantzen in 1967, the desired storage surface became a part of the company, which allowed further growth. 1972 saw the start of construction of Haus 8 in Speicher III. Thereby, the storage space in the port increased to 8,400 m², and the number of Vollers employees had grown to 50 by this time. When Lüder Vollers became the sole company owner in 1978, this resulted in additional company takeovers. 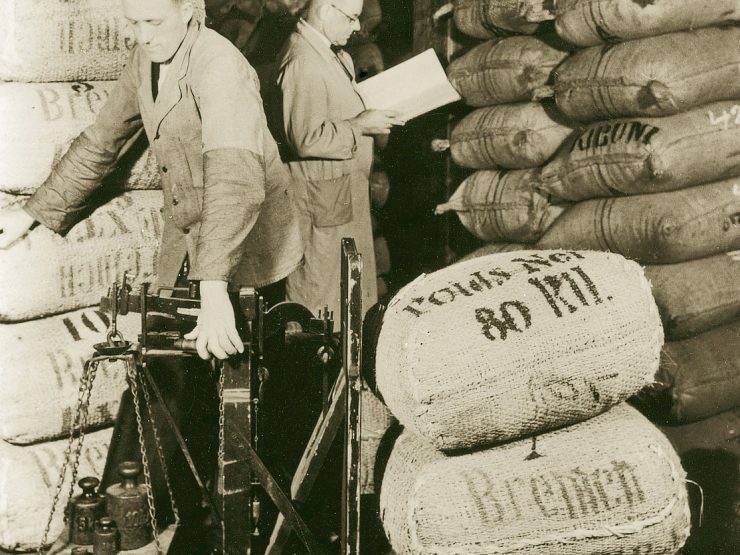 Here, for instance, apart from additional storage space, the purchase of Hermann Schwarze GmbH also provided additional business in the field of wool and cotton imports processing and storage. Due to the increasing utilisation of containers as well as progress in liner shipping, the processes for coffee handling also changed. To do justice to the new requirements, work started in Haus 9 in Speicher III, with an own palletising facility in 1979. 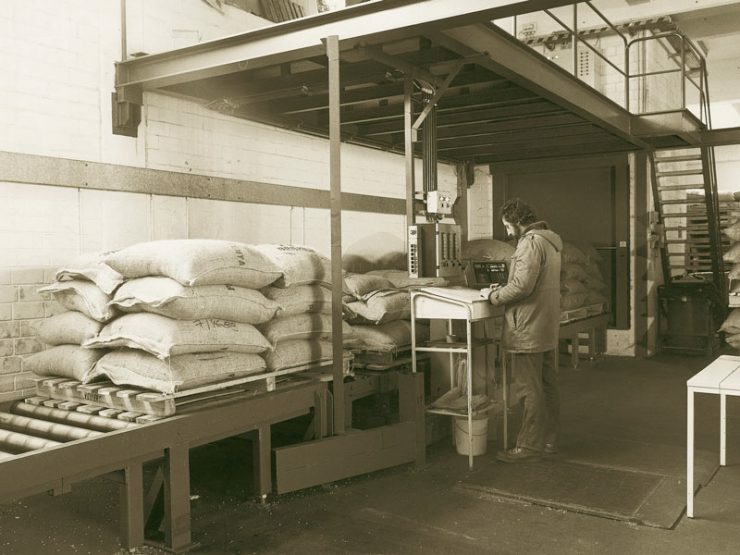 Vollers radius extended: in 1980, the subsidiary was founded in Hamburg where, initially, one employee was responsible for processing the coffee business. In 1982, there was cause for celebration: Vollers turned 50. In the meantime, the company employed 125 people, of which ten were apprentices; a total storage space of 28,000 m² as well as 19 trucks. At this time, almost 90 per cent of Vollers’ services revolved around the handling and storage of green coffee. Other commodities were wool, cotton as well as so-called general cargo, such as East-Asia imports and brand items. In the course of this, the company name also changed: while Berthold Vollers had called his company office for goods inspection and storage, this subsequently turned into freight forwarding and even later yet, when international expansion increased, an international freight forwarder. An additional change regarding the language was still to be added in future: within the course of an increasingly growing international circle of customers, the products became so-called commodities, which is the commonly-used English word for products or raw materials in the trade business. This was also incorporated in the official company name: Vollers Port & Commodity Logistics. Due to acquisitions of other competitors, Vollers could expand its market presence and secure additional storage surfaces and expertise. D.A. Homann was taken over in Hamburg in 1983, which processed a broad range of goods and commodities in the Port of Hamburg. The takeover of Uhlmann Spedition, a tradition-rich company in Bremen, in 1984 also increased storage capacity. 1987 was of decisive significance for Vollers’ cocoa business in Bremen. Bremen was officially recognised as a delivery place for the London stock exchange LIFFE (nowadays referred to as ICE Futures Europe). Decades of preparatory work as well as profound product knowledge had made this possible. 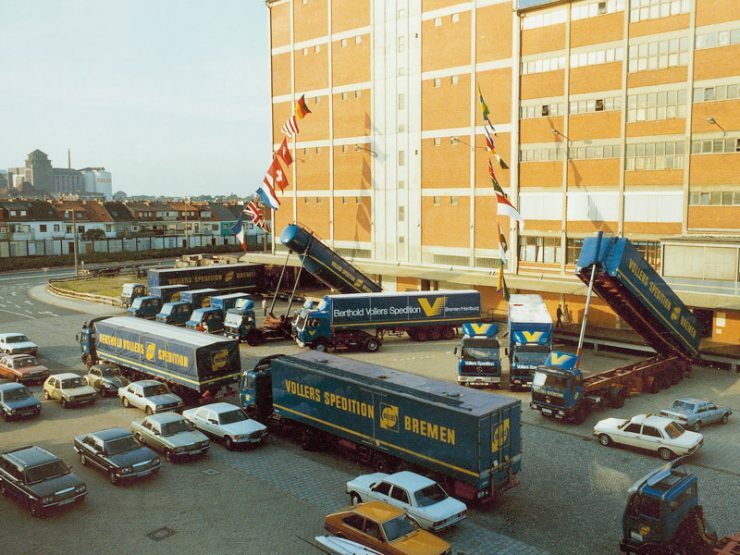 At the start of the 90s, Vollers took over additional companies in Bremen and Hamburg. 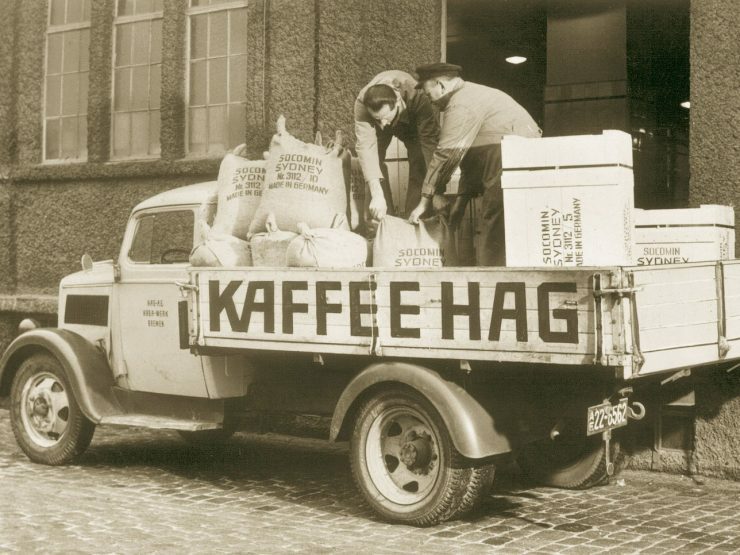 The largest and decisive takeover occurred in 1993, when Vollers bought the coffee storage “Kaffee-Lagerei Bremen”. Since coffee was increasingly being transported in bulk instead of in bags, a silo facility became a necessity. 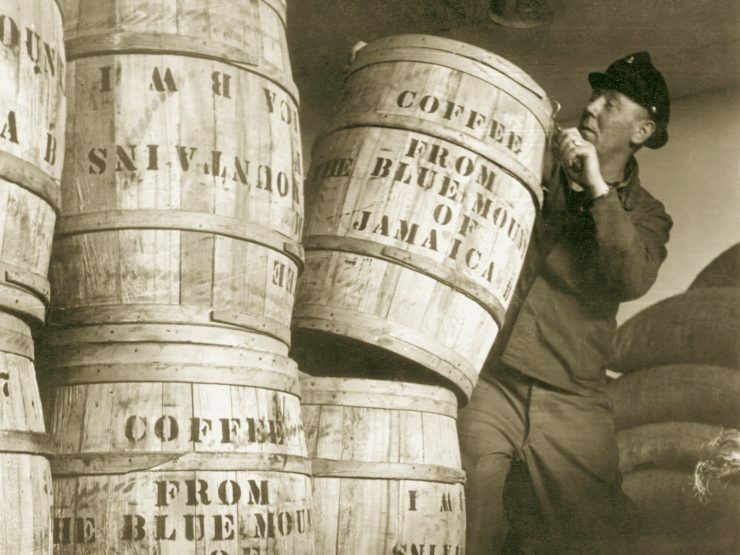 At this time, the coffee storage was in possession of such a facility, and this provided Vollers with significant advantages in the future coffee business. 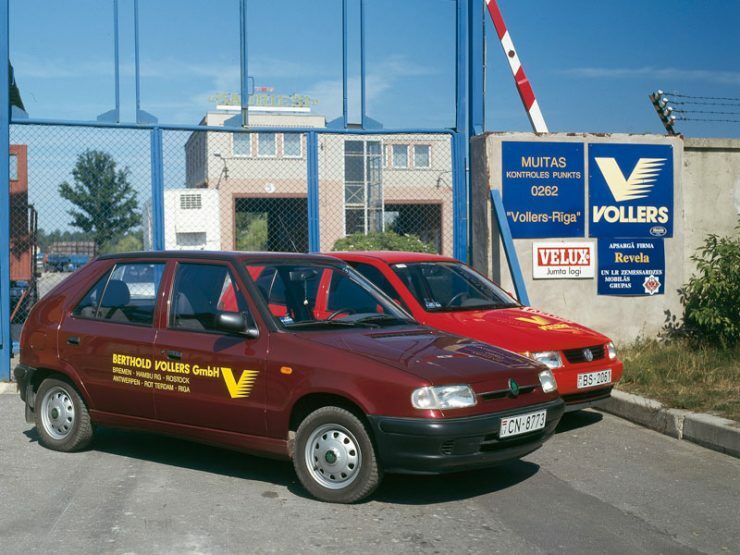 At the same time, Vollers was also expanding in West and East Europe. In 1993, SIA Vollers Riga was founded in Latvia; in 1995 the subsidiary Vollers Belgium in the port of Antwerp and in 1997, the location Rotterdam in the Netherlands. To ensure that the company structure would be more clearly arranged in the following years, a majority of the taken-over individual companies were condensed into Berthold Vollers GmbH in the middle of the 90s. Christian Vollers joined his father’s company in 2001 and became managing director in 2006. Vollers also kept on growing in the new millennium. In 2003, the Amsterdam location in the Netherlands was added, Tallinn in Estonia in 2004, Trieste in Italy in 2005, and Moscow in Russia in 2007. Restructuring measures were undertaken in 2009 – where all companies were consolidated in the Vollers Group GmbH. Christian Vollers became the sole owner of the Vollers Group in 2013. In 2014, the location of Genoa in Italy was added. 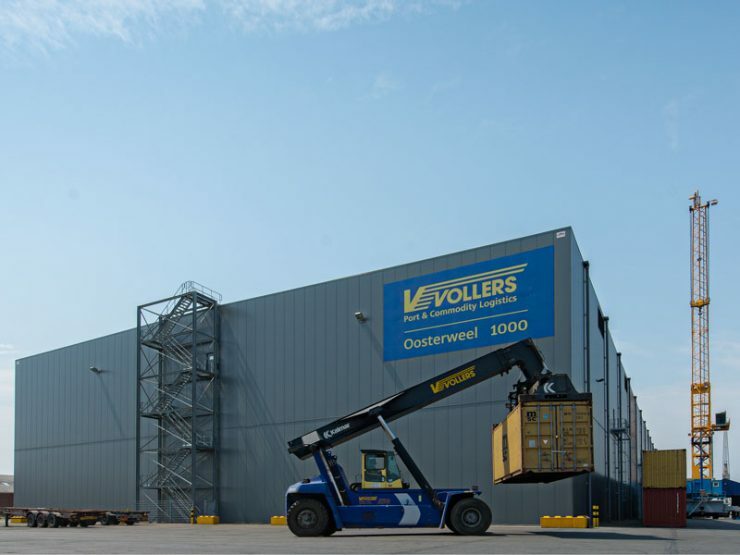 A particular highlight for Vollers was the construction and inauguration of Oosterweel 1000, a state-of-the-art warehouse for bulk cocoa in Antwerp in 2014. The advantage: the storage, weighing and sampling are performed in a fully-automated manner. In the meantime, the Vollers Group management board consists of four directors: Lüder and Christian Vollers as well as Michael Balmes and Matijs Brand. In 2016, the newest location Bury St Edmunds in the UK joined the Vollers Group. 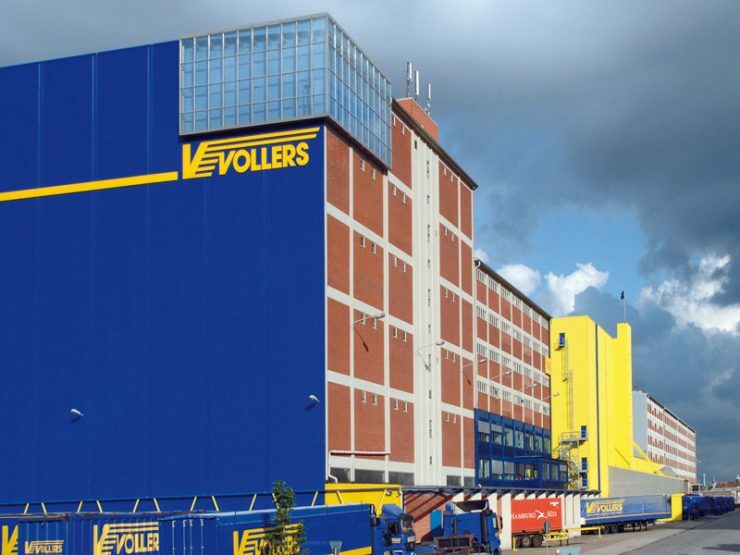 The Vollers Group currently has eleven locations in West, Central and East Europe, with a total storage surface of more than half a million square metres, and it employs 320 persons.